Who sneaks the candy from its wrapping? For centuries, Hungarians have decorated their Christmas trees by hanging so-called szaloncukor ('salon candy') on their trees. 4 December 2018, for centuries, Hungarians have decorated their Christmas trees by hanging so-called szaloncukor (‘salon candy’), a traditionally fondant-based candy coated in chocolate that is wrapped in shiny, colourful foil, on their trees. 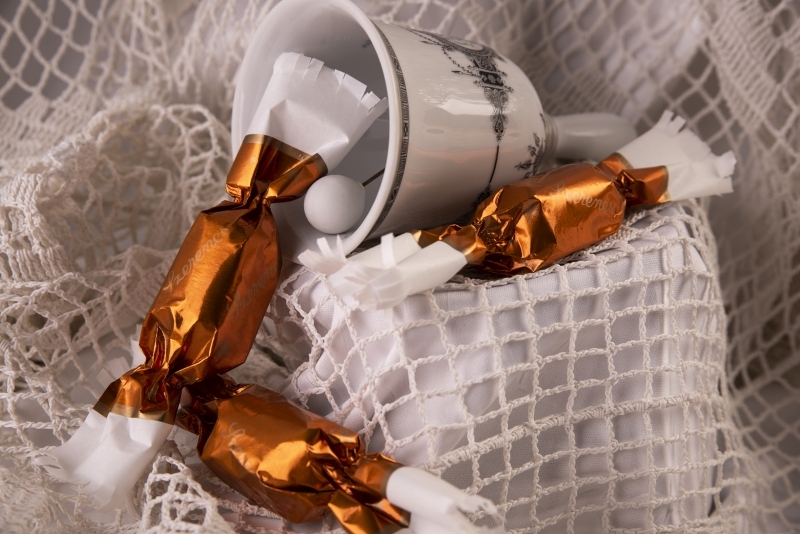 While the flavours and wrappings of the festive candy have changed and followed certain trends over the years, it remains to be a staple and important accessory of Christmas in Hungarian households. Sandor Santa, president of HUNBISCO, the Association of Hungarian Confectionary Manufacturers said, “The sales of this festive candy skyrocket before Christmas and according to the survey 86% of Hungarian consumers plan to purchase salon candies this year”. In the flavour contest the classic citrus jelly is the absolute favourite with two thirds of consumers choosing it as their preferred variety. Runners-up include coconut and caramel, but many people also like the more refined, and expensive, marzipan and hazelnut cream fillings. In the past few decades the supreme reign of the classic sugar fondant szaloncukor has slipped and it has gradually become one of the least popular varieties while the products made using high quality chocolate and fillings have become increasingly widespread. Despite the Christmas candy not being a Hungarian invention, it was Hungarian confectioners who first started making them in the first third of the 1800’s, and it has been exclusively produced by Hungarians ever since. True, the ancestor of all festive candies, the fondant sugar originates from France and the tradition of erecting Christmas trees has German roots. However this unique marriage of the German Christmas tree and the French sugar dessert, via the decoration of the tree with candy only evolved in Hungary. Initially only the wealthy families could afford to erect Christmas trees and buy sweets. The noble families placed the trees in the salons of their apartments or houses, hence the szaloncukor or ‘salon candy’ name. Today, this festive candy is much more widespread and accessible. On average consumers spend around HUF 2,000 on the sweets. They first decide the flavour and the second consideration is the price. Since the price is important, 50% of consumers will shop around after Christmas for special deals and pick up discounted candy too. Finally the survey also answered a major debate that keeps families excited during the festive season. Some people have the habit of sneaking the candy from the wrapping and leaving the shiny but empty foil hanging on the tree, thus leaving the next candy hunter to grab nothing but the empty wrapping. So how many people do this? As it turns out: almost everyone! The survey revealed that almost three-quarters of families have faced this mischief. Therefore, it is hardly worth trying to find sinners, because almost everyone has committed this ‘sweet offense’. And if they haven’t yet, there’s a good chance they will, sooner or later.